JUXTA VJ Series Signal Conditioners from Yokogawa Australia are space saving with external dimensions of 76 mm x 29.5 mm x 124.5 mm. They are a plug-in style, microprocessor based multi-function type of signal conditioner which are ideal for a large range of applications. 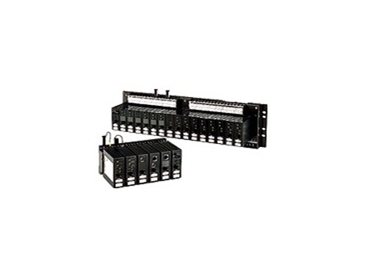 These signal conditioners have analog output and Hi-Low alarm relay outputs or RS-485 MODBUS communication is also available as an optional second output if required. A field configuration of the microprocessor based VJ is possible from the operator's PC with either the VJ77 PC-Based parameter setting tool or by using Yokogawa's handy terminal JHT200. This means that various parameters, for example input range and computation programs, can be set and modified by the operator. The power supply voltage for these devices is either 100 to 240 V AC and the standard withstand voltage for a unit of this size is 2000 V AC. The signal conditioners comply with the following international safety standards; CE, CSA, UL and UL CE and come with a three year warranty.